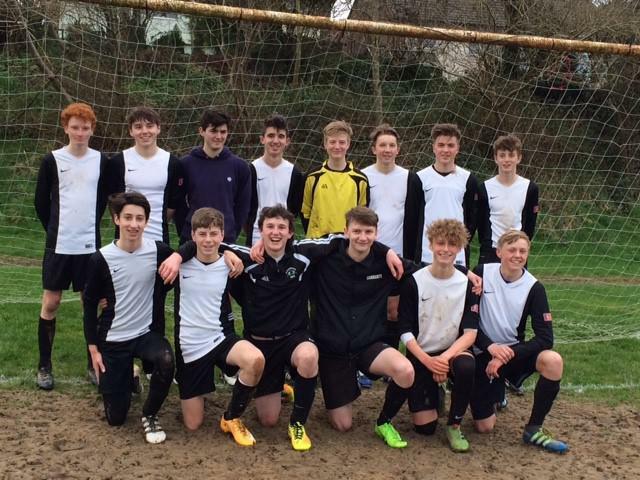 On Thursday 16th March HCC Year 11 dream team played Exmouth in the semi-finals of the County Cup. After their disappointing defeat against Gordon’s School, Woking, in the English Schools’ cup, they were determined to put that behind them and be victorious once again! Before the game the team were nervous, but excited. They hoped to continue their record of never having lost at home during their entire time at HCC. They were not to be disappointed! The game started with some tension between the two teams, with chances at both ends being missed. Good defending from Jon Skinner and Joel Greening kept the ball out of the HCC goal. With good forward play HCC began to create more chances. We were quite evenly matched and the first half ended 0-0. After an inspiring team talk from Mr Vanstone at half time the boys went out more determined than ever. The chances that HCC created increased and the momentum built, finally creating a chance from a corner by Ben Furber, headed by Jon Skinner and finally put over the line by Joel Greening – great team work from HCC resulted in 1-0! The rest of the game passed and with great defending once again, HCC managed to keep a clean sheet for the full game. A fantastic effort from the HCC team means they are now through to the finals of the County Cup, which hopefully will be played before the end of term.